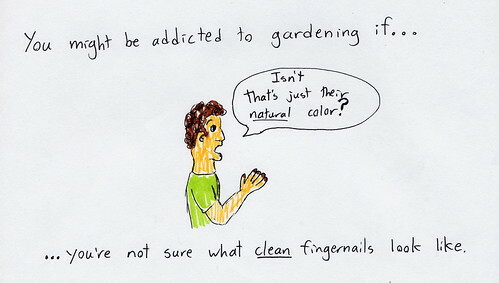 Don't think I need to make much of a comment on this drawing... if you are a gardener, you know what I'm talking about! Oh how true but mostly with me they are always broken. About spring they've been looking nice and a bit longer for a short while and it's time to start all over again. Love it! Thanks for giving me a morning giggle.